I will be uploading archive posts from Reddit until I catch up with myself (Only 194 to go!). This was my first Reddit review. These were allocated by ballot because of demand, so I was lucky enough to be given the chance to buy a bottle. All useful information. Anyway, onwards with the review! 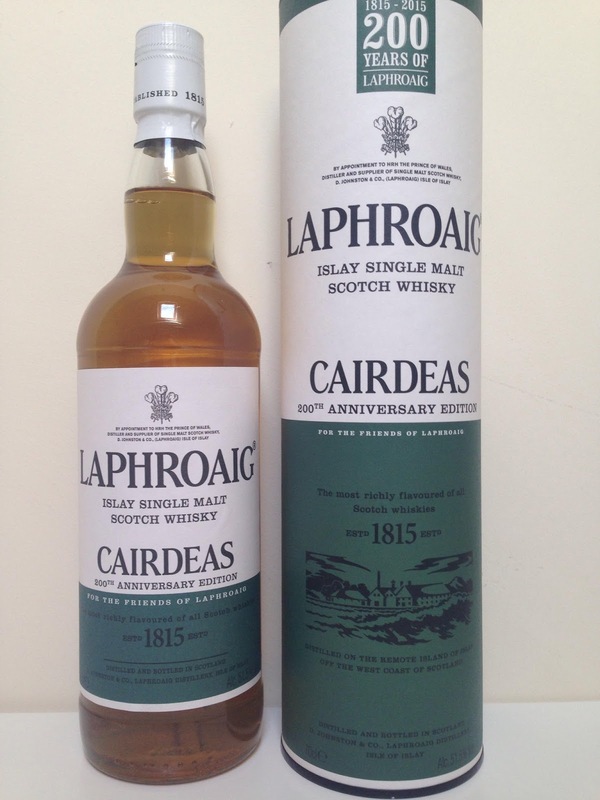 Nose: It's Laphroaig all right but quite different to normal. Sweet malt, mix of sweet and salted popcorn, softly fruity- Toffee apple. Salted caramel, not many medicinal notes but the peat is there, maybe a little softer than normal. Marine notes- Sea salt, seaweed with a little iodine, driftwood, campfire on the beach. Vanilla with dry American oak. Water: More vanilla, then more Laphroaig-y with more peat, more iodine, some TCP, more salty rocks and cough sweets. Taste: Rich and creamy to start, quite soft and sweet with the peat apparent but in check. Toffee apple, salted caramel, salted and sweet popcorn again, some of it burnt. Roasted and burnt nut, Chestnut maybe. Not really any building spice or peat, just staying creamy and soft. A maritime note creeps out after a bit of time in the mouth- Sea salt, a little flint with sea sprayed rock, driftwood, sea air. A peaty puff going into the finish. Water: More Laphroaig-y as well. More juicy arrival with apple, some orange then lemon and lime. More peaty development with iodine, flint, TCP, sea salt, seaweed and some lovely lemon juice which goes into the finish too. Finish: Long length. That peaty puff then more sweet malt, popcorn and toffee apple with soft peat in the background. With water there's a lot more lemon. This is a great whisky. I love how different but recognisable it is. 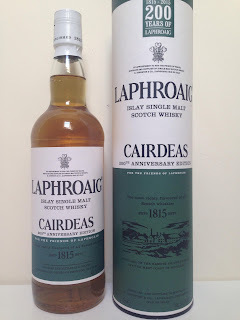 At first I thought this should get the same mark as the 18 year old Laphroaig (82 but not reviewed on here yet), but now having them side by side the Cairdeas almost makes the 18 year old seem a bit boring and ordinary, which is quite a feat!